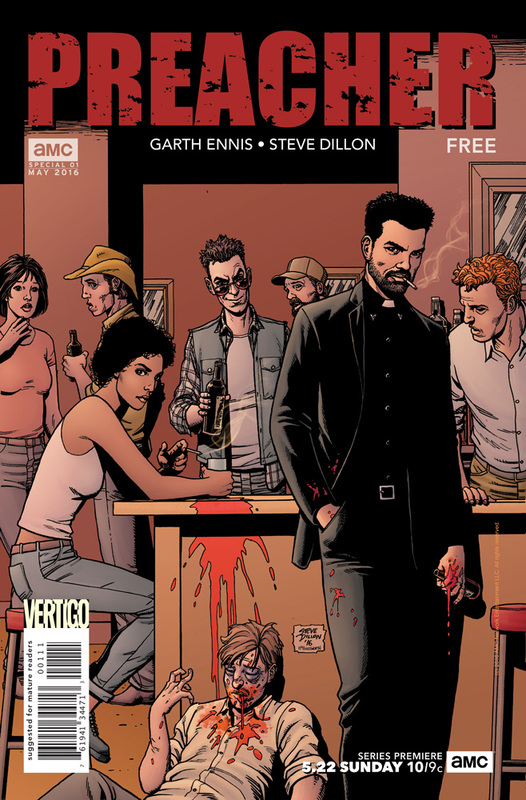 In the beginning there was Garth Ennis and Steve Dillon’s Preacher, an irreverent and often juvenile comic. The series deals with a number of themes unsuitable to many’s tastes, like the sexual relations of angels and demons, serial killers, and many sacrilegious subjects. It was not for the faint of heart, and for that reason it became a cult classic. Many have tried to adapt the series to another medium, but they’ve never taken. AMC, home of The Walking Dead and Breaking Bad, went to bat though, and they hit a home run. Much like the spawn of an Angel and Demon’s unholy coitus in the pages of the Preacher comic, there are two distinct elements at work that make the series thrive: The schlock and unwholesome humor coupled with the show’s grounded roots as a character drama. Executive producers Seth Rogen and Evan Goldberg, known for the likes of Superbad and This is the End, and series showrunner Sam Caitlin, a former writer on Breaking Bad and winner of two Emmys for that series, have created a world where we believe not only in angels and vampires, but love to see the chaos and carnage they can cause. Dominic Cooper leads the cast as Jesse Custer, a Texan man of the cloth who finds himself host of extraordinary abilities. Seeing Cooper in other comic fare, like Captain America: The First Avenger and Agent Carter, makes one wonder if he could handle a less pop-senstive tone, and he hooks it in. There are unspoken qualities to Jesse that Cooper manages to bring to life like art on a page can’t. He’s kind, but stern. He’s tough, but has a big heart, and like his Dad he wants to be one of the good guys, because there’s way too many of the bad. The characters are where things really count about the series too, because without them there is no show. They make it work. Alongside Cooper is Ruth Negga as Tulip O’Hare, Jesse’s gun-toting former girlfriend who has a sass and wit unmatched by anyone else and true to the form of the character’s southern roots. Joe Gilgun’s Cassidy however, an Irish Vampire, might be the real highlight of the series. The character can’t help but be hilarious in every situation, despite his own attempts to drive the drama further, and Gilgun is a riot. He is difficult to understand during the pilot episode, but his speech becomes clearer as the show progresses. Another standout is W. Earl Brown as Sheriff Hugo Root, who takes the character that is notably just a caricature of a racist in the comics and makes him a fully-formed character. Maybe it’s just the Deadwood fan in me talking or the fact that he looks and acts like my late grandfather, but he’s a scene stealer. Fans of the series will be pleased to know that Hugo Root’s son, Eugene, affectionately referred to as Arseface in the comics, is another highlight. Ian Colletti exudes sweetness and wonder behind the many layers of prosthesis on his face, and makes him memorable by his personality and not his physical deformity. Adapting a comic is a tricky endeavor in and of itself, and Preacher didn’t make things easy either. The series isn’t fixed to one spot and moves around the country (and world) quite a bit, and unless you’re Game of Thrones that’s not feasible for a television schedule or budget. Instead, the series is settled into Annville, Texas with brief appearances in other places. This alters the narrative from the comic significantly from a “road trip” to an every day account of the town and its people, which might sound mundane but don’t forget about the angels and vampires. Fans of the comic shouldn’t be too worried about the series being so different though, because plenty of seeds are being planted for future characters and stories that they’ll be giddy as children to see. This might cause confusion for newcomers, however, as the scenes are left unexplained and stick out. Where the series differs a little further is that each episode is an examination of morality in the modern day. Jesse is faced with any number of decisions that should be a no-brainer for a preacher, but when you have the power to make anyone do anything and a short fuse on your temper, they become harder to do with ease. Tone is important when you’re telling a story such as Preacher too, and it juggles those razor-sharp knives with precision. There’s a Sam Raimi-like sensibility at work too where off-the-wall goofy violence and gore can be paired next to heart wrenching drama, and it all works. 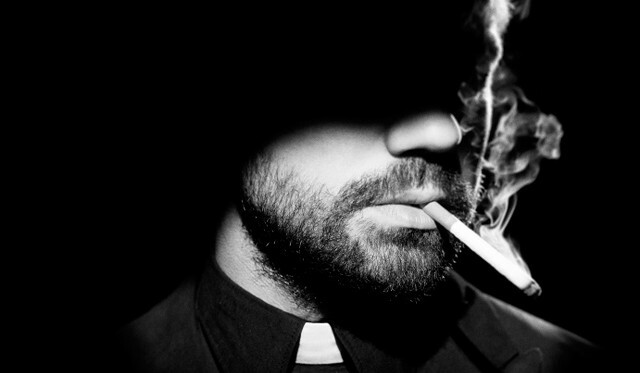 Preacher is a slick drama with a cast that is easy to root for and fall in love with. It might be different from its source in terms of plot and pacing, but the heart of the series is there: the characters. Character drives story and these characters are gunning it in the driver’s seat. The main leads have a charisma and report that make it easy to see why they were cast in the roles, but don’t discount the other players because there isn’t a weak link in the entire crew. This shouldn’t have happened. Preacher shouldn’t have been able to be turned into a series and look so effortless. The adaptation is treated in a way that remixes what fans know and creates all-new stakes and drama to keep them gripped. Rogen, Goldberg, and Catlin have taken a sacred text and done the impossible: they made it better. Does it surpass the comic? It’s too early to say, but from where I’m standing I see them as two parts of the same text; an old and new testament if you will. Preacher is a roller coaster of drama and gags on the page and on the screen and I can’t wait to see what the next drop will be like. Preacher premieres on AMC Sunday, May 22 at 10/9c.